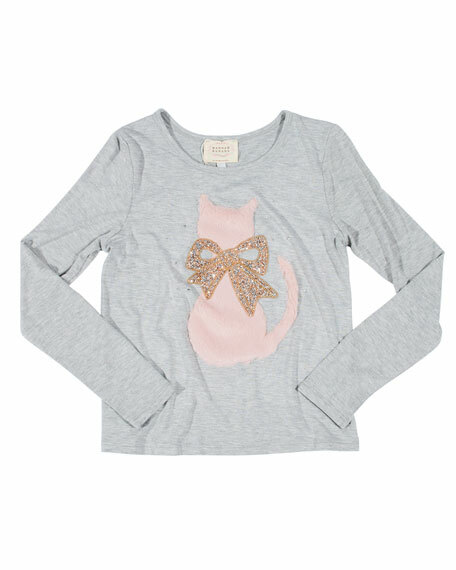 Hannah Banana heathered tee with faux fur (polyester) cat silhouette. For in-store inquiries, use sku #2738488. 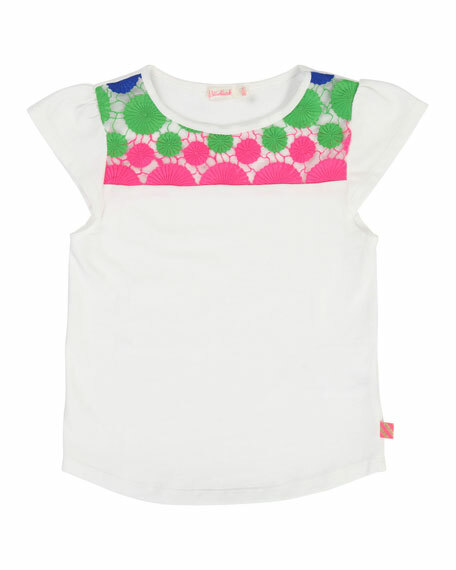 Billieblush tee with multicolored lace yoke. Crew neckline. Cap sleeves. Pleated shoulders. Pullover style. Rounded hem. Main: cotton. Trim: polyester. Imported. 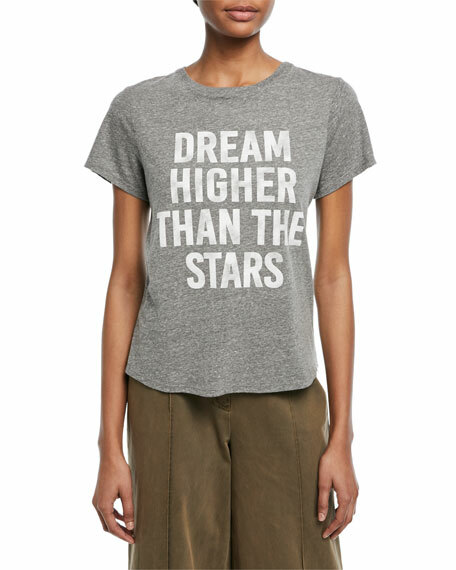 Cinq Sept "Dream Higher" heathered tee with graphic print. Crew neckline. Short sleeves. Slim fit. Pullover style. Polyester/cotton/rayon. Made in USA. Eberjey heather slub jersey tee. Wide scoop neckline. Long sleeves; dropped shoulders. Slouchy fit. Contrast drawstring hem. Pullover style. Polyester/cotton/spandex. Imported of domestic material. 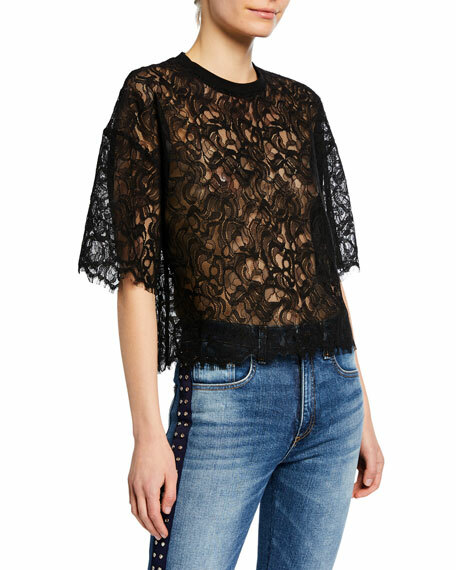 Jonathan Simkhai lace tee. Ribbed crew neckline. Short sleeves. Dropped shoulders. Relaxed fit. Cropped length. Slipover style. Nylon/polyester/cotton. Combo, cotton/spandex. Imported.